Join us for an awesome weeklong summer camp shredding waves and pulling kickflips. 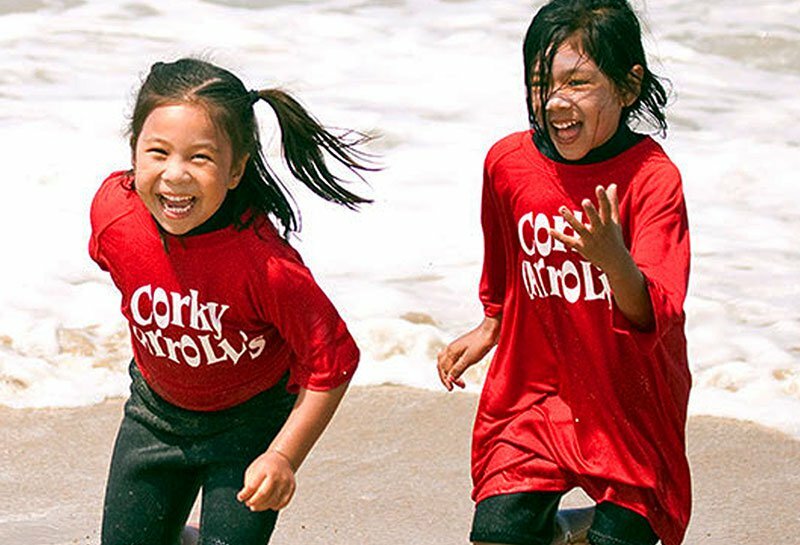 During the mornings hit the beach and learn to surf with Corky Carroll’s Surf School at Bolsa Chica in Huntington Beach. 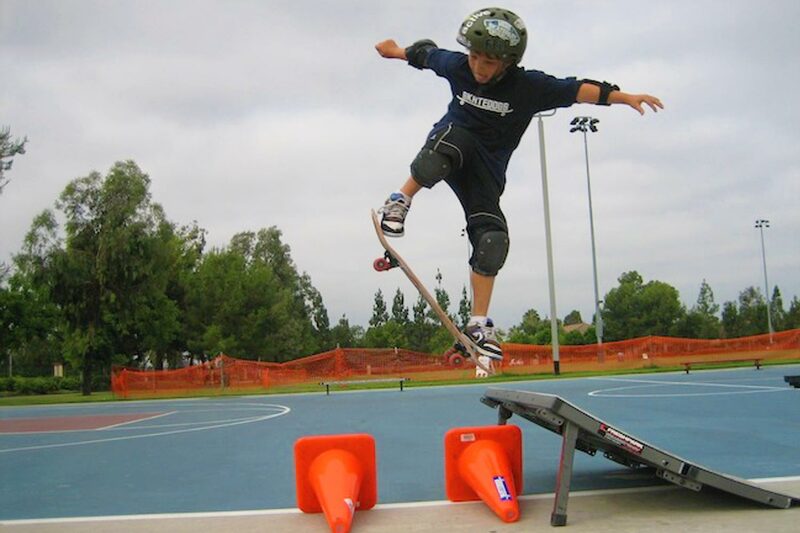 In the afternoons grind it out with Skatedogs at its mobile skate parks in HB and Long Beach. We provide transportation between both for a fun-filled, day long session. Enroll your child and get stoked for an unforgettable camp experience! In June, we offer two weeks to choose from. Each session will be split between Huntington Beach (surf) and Long Beach (skate). Each day, drop-off will be in the morning at Bolsa Chica and pick-up will be in the evening at Kettering Elementary. We provide transportation from Corky’s to Skatedogs in the afternoon. Spots limited. Only 20 available. Sign up fast! In August, we offer two weeks to choose from, located entirely within Huntington Beach. Each day, drop-off will be in the morning at Bolsa Chica and pick-up will be in the evening at a location in HB TBD. We provide transportation from Corky’s to Skatedogs in the afternoon. Want to get alerted when registration opens. Sign up! Each day, drop-off will be in the morning at Bolsa Chica and pick-up will be in the evening at Kettering Elementary. (Select each location for directions.) We provide transportation from Corky’s to Skatedogs in the afternoon. Each day, drop-off will be in the morning at Bolsa Chica and pick-up will be in the evening at the HB Sports Complex. We provide transportation from Corky’s to Skatedogs in the afternoon. Corky Carroll’s Surf School is a 2nd generation, family owned business that has been providing surf coaching for over 20 years in Huntington Beach. Lessons focus on safely maneuvering through the ocean, navigating rip currents, proper paddling techniques, timing, catching a wave, and ultimately stand-up surfing. Students also learn ocean safety, team building, and the real fundamentals of surfing in a fun, educational, group setting. 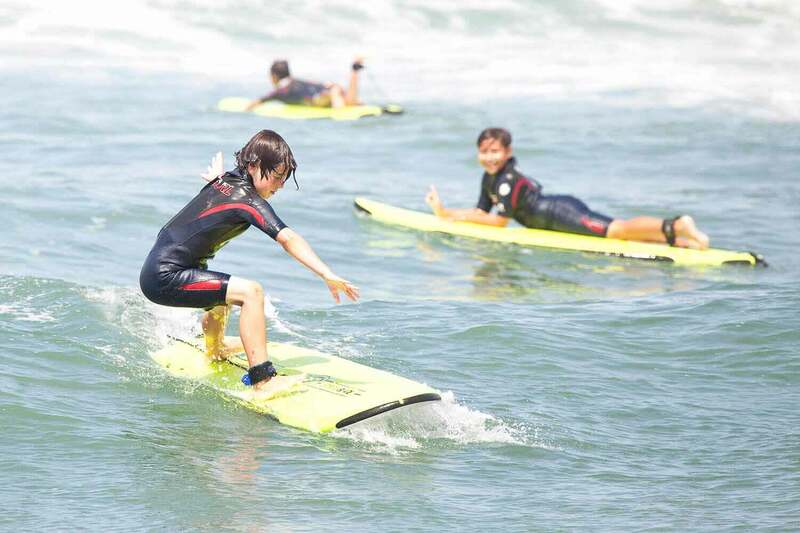 In addition to our summer surf camp, we offer private and group lessons, a smaller kids adventure camp, junior lifeguard prep, and even have our very own Costa Rica Surf Resort. 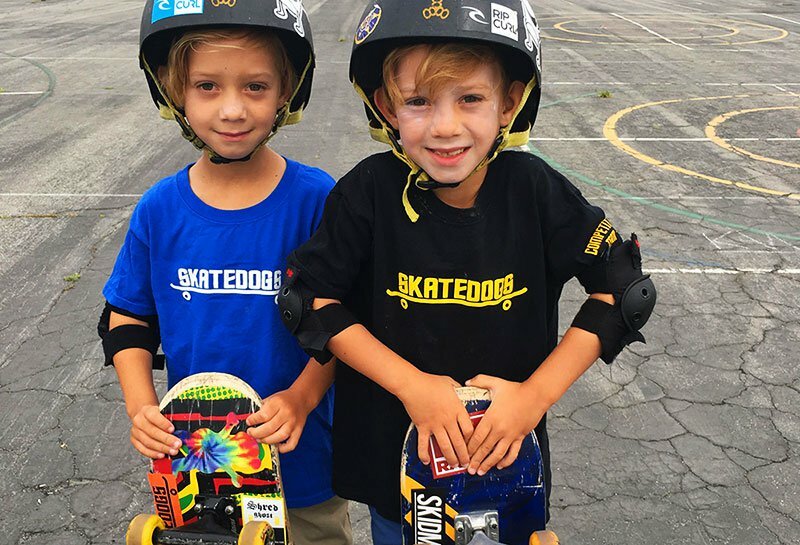 Skatedogs has been providing group skateboarding lessons all over Southern California since 1999 with our one-of-a-kind mobile skate park. In 2008 we launched our spring break and summer camps, after school classes, demos, and birthday parties. Our goal is to provide people of all ages and ability levels a safe environment to advance their skills, and, most importantly, have fun! We also encourage kids to embrace their own style and express themselves not only through their skateboarding, but also through the board they ride by offering a skateboard customizer to students.